We’ve done this same trip several times and it never gets old!!! Santa Fe is WONDERFUL!!! I wish I was there walking with you and Jerry! Hard to not take photos isn’t it?!?! Beautiful! .Gets better with every season! You two, plus your Jerry, are gonna love it here!!! Yes, we look forward to exploring. So much to see. Jerry, looks like your new home agrees with you – happier and more handsome than ever! can’t wait to come see you and your boys! hugs & love from me & Toby in Comfort. Jerry looks like a happy camper. Thank you for these lovely photos! 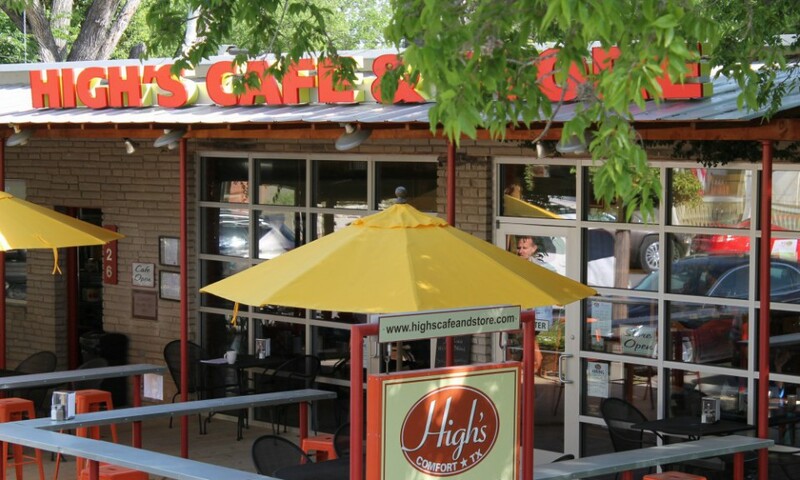 We love NM and High’s Cafe. Jerry needs a new brother. Brothers always have fun on road trips. The TV series, Longmire, is filmed in and around Las Vegas. Even saw the star, Robert Taylor, one nite in SFe at restaurant. Glad yall are enjoying the area. It is gorgeous. Always a room for you! Didn’t know you and Jer were on the road. Great pics and travel info. Thanks!